Parish Hall, 1845-50. Sizeable hall, which began life as Oddfellows Hall, has square windows and wooden mullions. It occupies part of the site of Towie Castle, a ruined three-storey, L-plan Forbes mansion of the early 17th century, which had prettily corbelled angle turrets on its tall walls. Demolished 1968; plaque by Alford Academy pupils (Sandy Braso, art teacher) on small cairn beyond hall. Towie Castle originally comprised an oblong main building of which the western end cellar, and a tower projecting from the east end of the south front alone survive. The masonry of the tower is typical of the 16/17th century. The castle was built subsequent to 1618 and is supposed to have been unfinished. The tunnels and battlements are said to have been removed in 1788 and modern alterations made. A Jervise 1875-9; W D Simpson 1942. 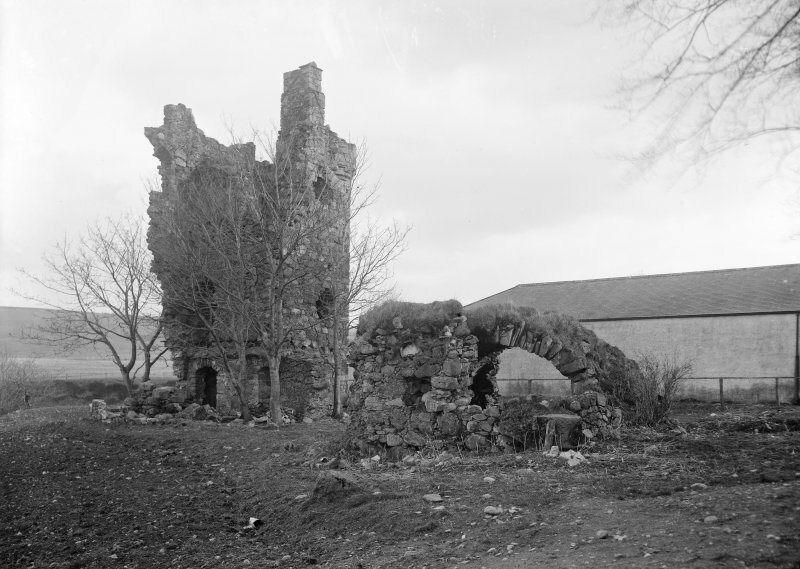 Most of the remains of Towie Castle were demolished in July 1968. The tower described, surrounded by a heap of rubble, survives to a height of about 2.0 metres. Visited by OS (R L) 26 August 1968. 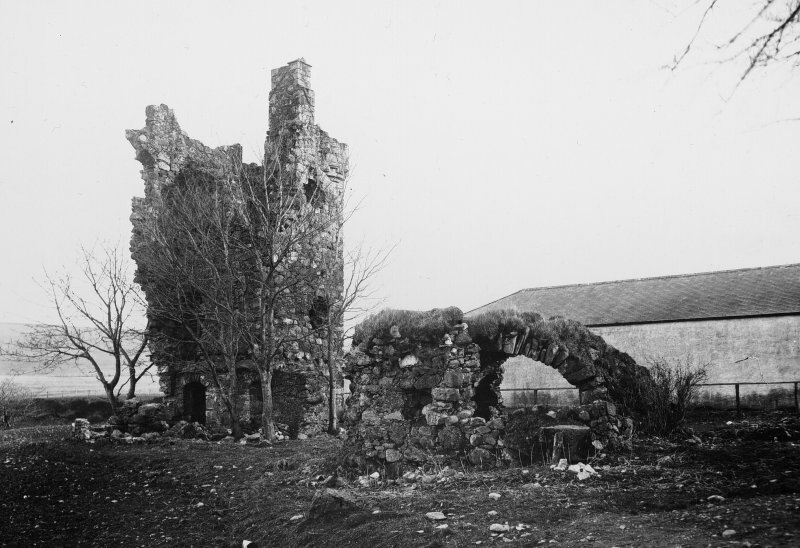 Towie Castle originally comprised an oblong main building of which only the western end cellar and a tower projecting from the E end of the S front survived in 1941. The masonry of the tower is typical of the 16th and 17th centuries. The castle was built after 1618 and is supposed to have been unfinished. 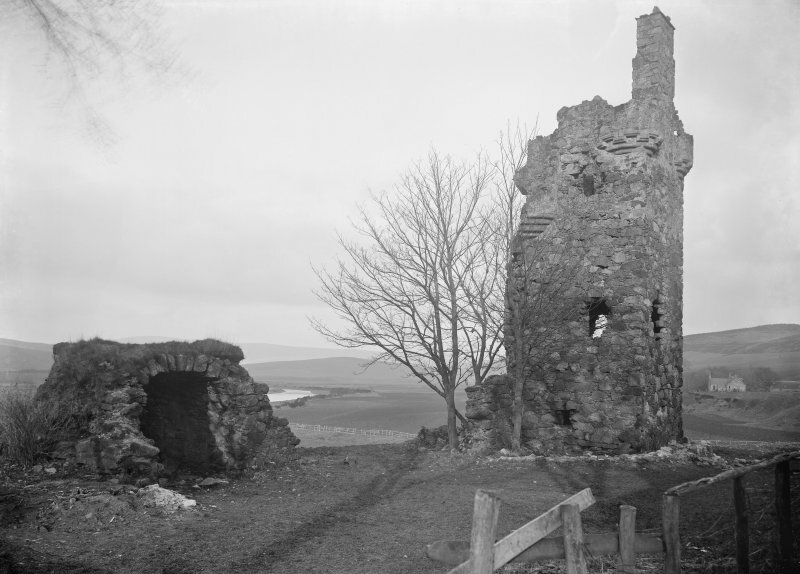 The turrets and battlements are said to heve been removed, and modern alterations made, in 1788; most of these remains were demolished in 1968 and the remains of the tower are surrounded by a heap of rubble. Nothing is now visible of Towie Castle, the last surviving remains having been removed by Grampian Regional Council in the 1980's. Visited by RCAHMS (JRS, IF), May 1996.